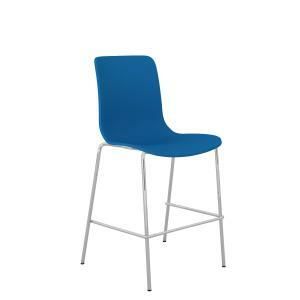 The Acti range is a modern aproach for a simple chair. It has clean lines and a back designed for flex and movement. With the benefit of movement, the range is perfect for use in meetings, training rooms, seminars and all applications for a visitor/guest chair. This product comes in a Flat-Pack form and will arrive to you in an un-assembled state. You will need to assemble prior to use. If you require Winc to assemble for you, please add code 18907954 to your order. This service is currently only available in major metropolitan areas only.